A human is arranged the way he constantly wants to change something in the apartment. And not just by rearranging the furniture, or refreshing it, but also by changing the color of the interior space, making it not quite usual. An illustrative example is the use of olive color as a dominant or complementary shade. This color is not bright by itself, even a little boring. But with a good layout and a combination with other colors it can become a “highlight” in the interior of the room, making it unusual and attractive. However, you will have to reckon with some features and nuances of the decor, which will help make the room not just interesting but also bright, colorful and attractive. We have the opportunity to consider on numerous examples how to use this color from our compilation of olive color interior decoration. Real photo examples will accompany the story and vividly reflect the design ideas. Let’s look at two options for applying olive color. Carefully review them and try to understand why you give one of these interiors a preference. Olive color absorbs light, so do not make the whole room in single tone. It should have bright colors. What is the difference between these rooms? In softness of the olive shade, the illumination and the amount of softening white. Therefore, the first option looks more festive and fun, but the second one is not without its own attractiveness. In this dining room a large chandelier is installed, which will make the room warmer, but only with the use of complementary warm colors of the “sun” palette, because lamps with cold light can make it gloomy. On the example of other premises, we can examine in detail the change in the interior due to the color change of the wall to olive. Let’s start with the lightest shades that are least needed for their “dilution” although they do not lack additional decor elements that are not dominant, but making the room more cozy. It will also be interesting to consider how red the color and its shades blend harmoniously into the interior of the room emphasizing its individuality. Or other variants of rooms with walls painted in olive color. 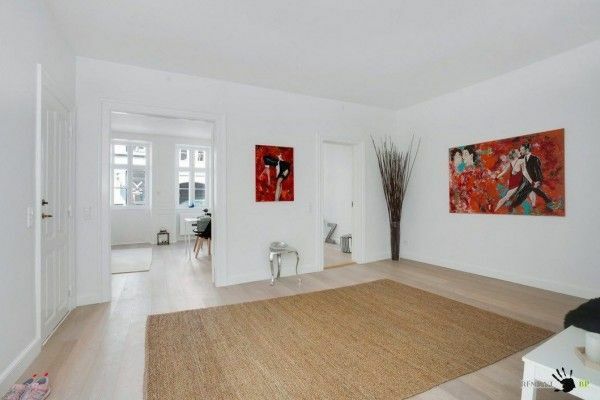 However, you can change the appearance of the room not only due to wall decoration. Olive color in a small hallway should not dominate, as it obscures it and creates a sense of space reduction, so using this color for furniture, combined with a large amount of white color and bright lighting allows this room having elegant and refined look. The addition of a yellow or orange color as in this case is very well blended too. The bedroom deserves special attention, because shades and combinations in the interior of olive color bring a bit of nature to the house. For this reason it fits perfectly into the interior of the bedroom with all its shades. They make the atmosphere cozy and easy, adding peace and tranquility. It is important to consider that olive color is more applicable to classical style than exotic ones, and therefore it is not necessary to overload the interior with excessively bright or heavy details. In the case you want to make the bedroom brighter, you can add a gentle pink, beige, yellow or orange color. 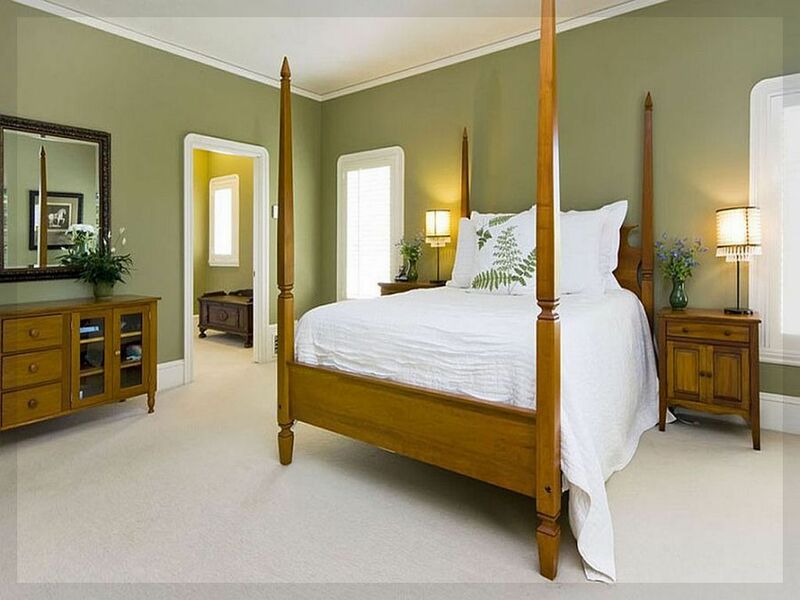 For this room it is best to use gentle tones of both olive color and additional colors. Do not get carried away by dark shades, using heavy curtains or drapes. Even if such a blackout rescues from the bright sun in the day, but the situation can turn out gloomy in the dark. Regardless of whether you have a combined bathroom or not, if you wanted to do something extravagant in it, you can paint the walls in light tones of purple. As you can see, even without additional lighting the room turned out to be “warm” and if you turn on the bright light, it even softens the situation, making it more attractive. Lovers of dark colors can consider the option of painting the walls of the toilet in a dark olive shade with the addition of lighter decor elements. Of course, it is desirable to keep the kitchen fresh after repair as long as possible. Olive color can help with this since it is practical in everyday use. No matter will it be walls, floors, or furniture, – the crumbs, spots, drops that appear on them will be less noticeable. But, if the question was only in practicality, then olive color would be hardly popular. To create a calm atmosphere and not a distracting background in the kitchen, the number of bright and contrasting details should be minimized. And if there is a desire to revitalize this room, then their number should be increased. An example of this approach can be seen on the design of kitchens, starting with a stricter (from left to right). Regardless of which olive shade you choose, do not forget about keeping a balance between dark and bright colors. It helps achieving a good color combination for your room. In addition, do not forget that the image of the room changes with lighting, and what was done in bright sunlight may look unattractive and even repulsive (or vice versa) in the evening. The correct approach plus the flight of a design idea can change the interior of any room for the better. Podium Bed. Luxury or Functional Interior Element?